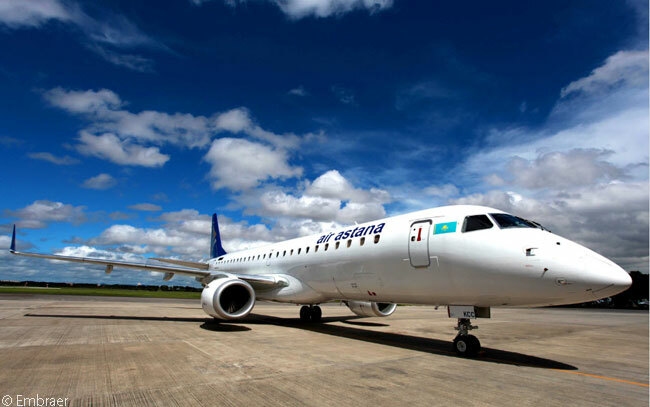 Air Astana, Kazakhstan’s flag carrier, will launch a new weekly service between London Heathrow Airport and Astana on October 29, increasing its weekly total of round-trips between Kazakhstan and the British capital to three per week. The Astana-London Heathrow flights will be operated by Boeing 757-200 aircraft, each configured with 16 business class and 150 economy seats. Air Astana’s new flight will complement its existing twice-weekly Almaty-London Heathrow services as well as the airline’s existing daily Astana-Frankfurt flights. The new London rotation will mean that on Tuesdays the Boeing 757-200 will fly Almaty-London-Astana-Almaty. On Thursdays the aircraft will fly Almaty-Astana-London-Almaty and on Saturdays it will perform an Almaty-London-Almaty rotation. Economy class round-trip airfares start from £473 ($757) and business class round-trips from £1,994 ($3,193), including government taxes, airport fees and charges. Passengers wishing to travel between London and Astana on days other than when the direct services operate can take the daily services between Astana and Frankfurt and connect with partner airlines British Airways or Lufthansa between Frankfurt and London Heathrow Airport. 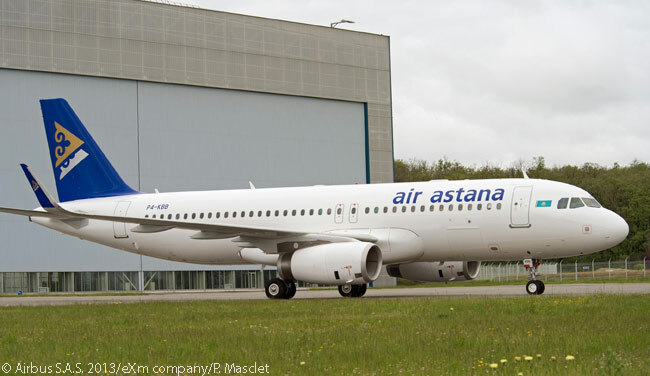 The direct London-Astana service will also enable UK-originating passengers to connect to Air Astana’s growing network of international and domestic services from Astana. From Astana the airline serves Beijing, Urumchi, Tashkent, Bishkek, Novosibirsk, Yekaterinburg and Omsk, as well as other destinations. “We are delighted to be able be able to increase services to the United Kingdom. Not only are we increasing our current capacity between Kazakhstan and London Heathrow by 50 per cent, we are directly connecting the two capital cities for the first time,” says Peter Foster, president of Air Astana. “Following quickly on the heels of Prime Minister David Cameron’s visit to Kazakhstan, this step demonstrates the strengthening relationship between the two countries and our increasing focus on Astana in the run up to Expo 2017,” adds Foster. Air Astana launched services between Almaty and London in December 2003 and has carried more than 160,000 passengers on the route to date. The airline began commercial flight operations on May 15, 2002 and now operates a network of almost 60 international and domestic routes from hubs at Almaty, Astana and Atyrau. 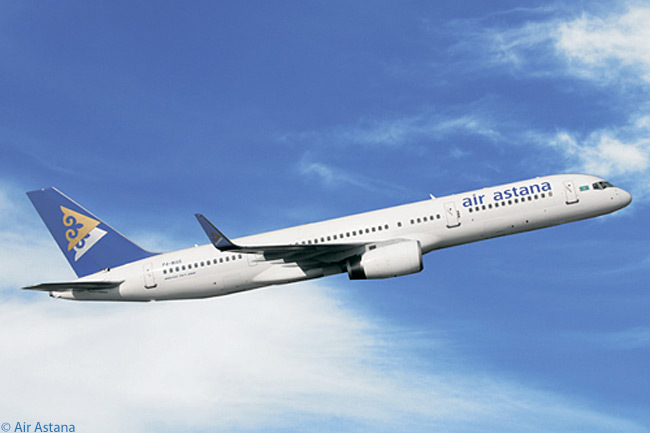 Air Astana operates an all-western-jet fleet of two Boeing 767-300ERs, five Boeing 757-200s, 13 Airbus A320-family aircraft and seven Embraer 190s. The carrier is a joint venture between Kazakhstan’s national wealth fund Samruk Kazyna and BAE Systems, which have respective shares of 51 per cent and 49 per cent.